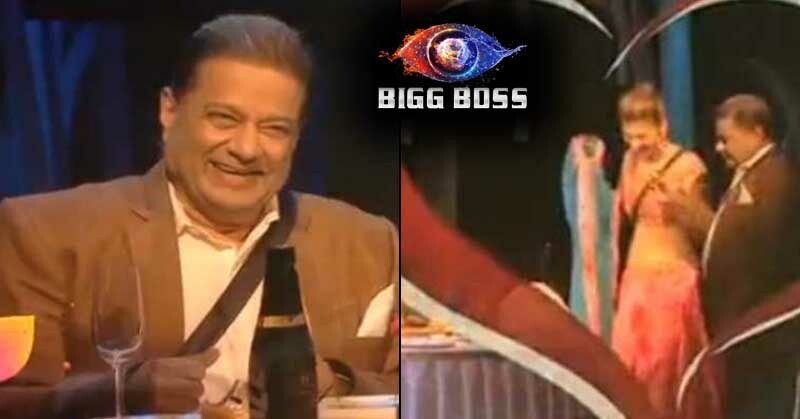 At the beginning of this week, Anup Jalota called off his relationship with Jasleen Matharu during the nomination task. After that, we saw the duo closing the distance between them in the previous episode. On Day 19, Anup and Jasleen will take a step further in their relationship. During the nomination task, Anup Jalota was kidnapped and Jasleen was asked to destroy her clothes and cut her hair short in order to save Anup. However, Jasleen refused to fulfil the demands of the kidnapper and that eventually got her and Anup Jalota nominated this week. This left Anup disappointed at her and he called off his relationship. Later on, Anup and Jasleen were seen trading funny comments on each other and no doubt they were closing in the distance between them. In the recent promos of Day 19, Anup Jalota and Jasleen Matharu were seen having a dinner date. The romanticism was channelled in the environment and the duo started dancing together. Undoubtedly, the things seem to be sorted out between the two. Apart from the love and romance, there will also be drama and hatred inside the house. The controversial Somi Khan lashed out at Neha Pendse as the latter disqualified Somi from the captaincy race. Somi broke out in tears and Neha was ice cold at the moment while the rest of the contestants were trying to calm Somi down. The Day 19, surely encompasses the mixed environment inside the house. To illustrate, Jasleen and Anup will channel positivity with their rejuvenated relationship, on the other hand, things will be melancholic on the account of Somi Khan and Neha Pendse. So we are excited to see what will happen next. What do you say? Tell us in the comments.